More than ten years ago when I studied in Singapore I started to run races abroad. After that I have completed several and when I was in Singapore during the long weekend that ended yesterday I was doing comeback when it comes to races in Singapore. 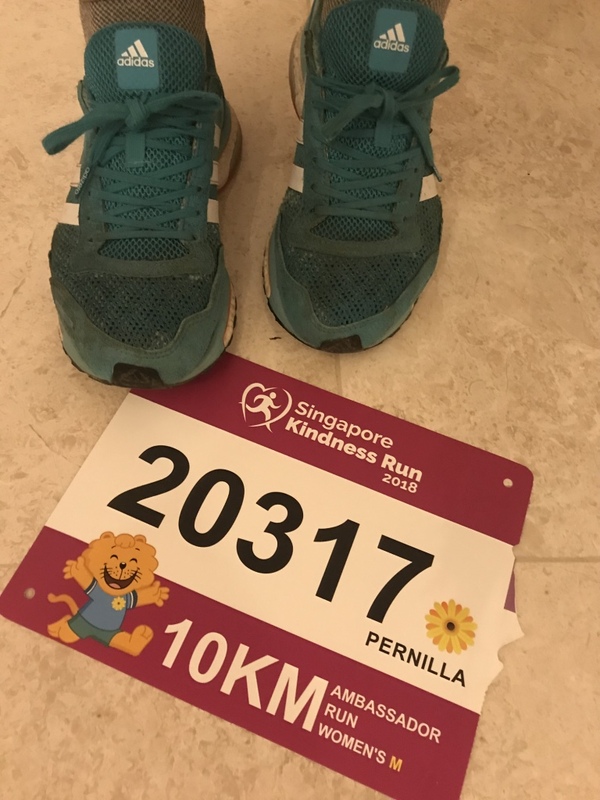 My adventure friend that also like to run googled races and found out that Singapore Kindess Run took place during our visit so we signed up. 10K in 32 degrees and over 90% humidity, how hard can it be? Waking up at 5:30 am isn’t my cup of tea. Especially not after spending the evening before with friends drinking a bit too much and having way to fun. Well, I was not in Singapore for running but for a fun weekend. The race included. So it was just to get up and change the PJ to running gear, take a taxi to my former run place East Coast Park and run. 10K I can do in any condition and yesterday was “any” condition. I might look happy on the blurry selfie but I felt like crap. 7 am and the start went off. My plan was just to get over with it as fast as possible. I started with 4:30 pace the first two kilometers, felt the heat and died a bit. It was the same heat for everyone. Heat and humidity is not my biggest problems so I was not to bothered by it. The worse thing was that my legs were not in running mode. I am always in competitive mode when it is a competition so I gave it a thought and accepted the fact. It won’t be any personal record but I would do my best. The first five K’s felt okey. I was happy when it was halfway through. Looked forward to water but there were only some sport drink so I skipped it. At the turning point I slowed down a bit and decided that I would be satisfied if I finished sub 50. So I added up the kilometer times for the first 5K and decided to run accordingly. Psychologically I like to start races fast and then see if I want to keep on pushing for a good time or finish at a fair time. It was five long kilometers on the way back. I was counting down one kilometer by another and enjoyed the race. I actually enjoyed it although I didn’t felt good at all. 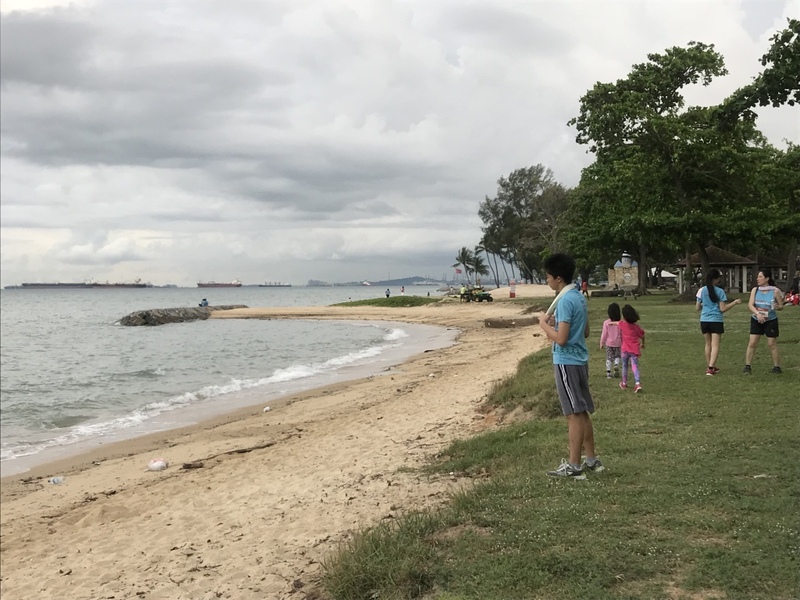 Running in East Coast Park is a walk along my memory line and that is always fun. I been running there sunny days, morning, late evenings and even during severe thunderstorms when there has been lightening all around. 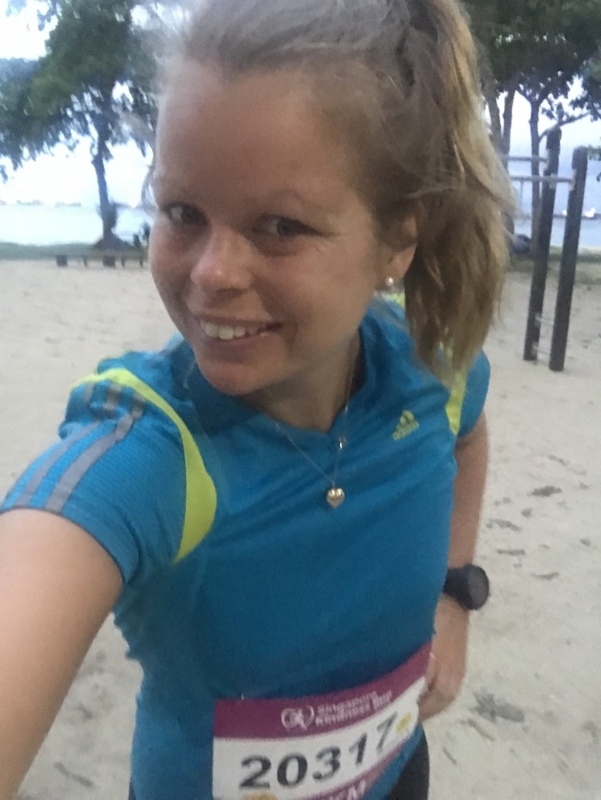 I really enjoy this sportive area of Singapore so I took it for what it was although I aimed to let no other female runners pass me. 7, 8, 9 kilometers and I realized that I would make it sub 50 when I passed the wakeboard park just one kilometer from the finish area. And I made it. My watch stopped at 49:57 but the official time became 49:48 minutes (place 12 of 316 female runners) since I passed the starting line a bit after the gun shoot. I was exhausted when I ran across the finish line. Just wanted to lay down in the grass but since I am allergic against grass I didn’t. But honestly, although I know how stupid it is to run a race in tropical heat and humidity when you have been drinking just hours before I did it. I am fully aware of the consequences it may have on your health but sometimes my I am a bit to competitive for my own best when it comes to finish things I have decided to do. The 10/5/3,5K race was a charity race and the organization was really good. So many friendly staff and like other arrangements in Singapore everything had been thought through and planned into the smallest detail. 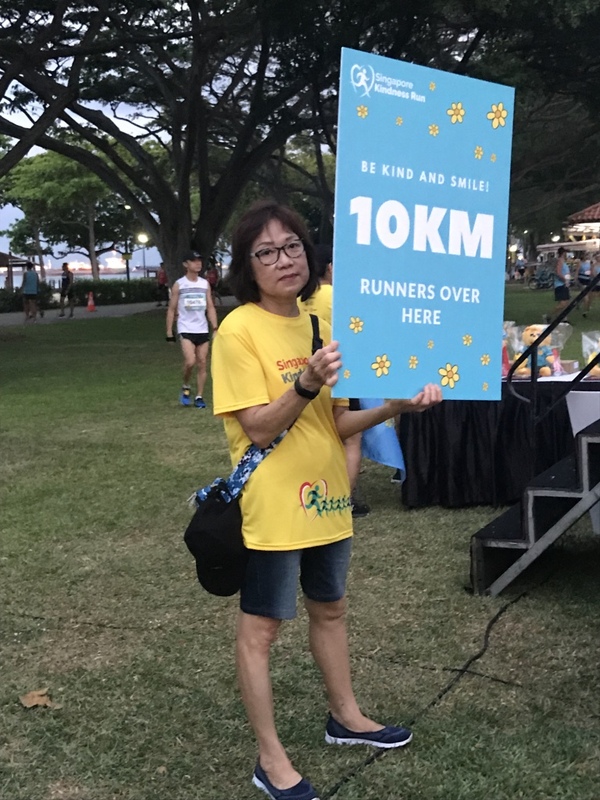 I could definitely recommend to run this race if you are in Singapore or have plans to visit next year. Well, now it is time for me to schedule some more races. Which ones is not clear but I am in racing mode for sure. Marathon, half marathon, five and 10K races doesn’t matter. I am just feeling for competing. The Singapore travel story will come up shortly so welcome back to my blog if you wanna see more of Singapore. Just run lah, as they say in Singapore! Fy fan, springa bakfull i den värmen PLUS den tiden på dygnet. Nja. 😉 Men grattis! Grymt att göra det sub-50 i slutändan! Tack! Vet inte om jag ska vara glad eller inte, kanske inte optimalt att springa bakis i värmen men men… så blev det! 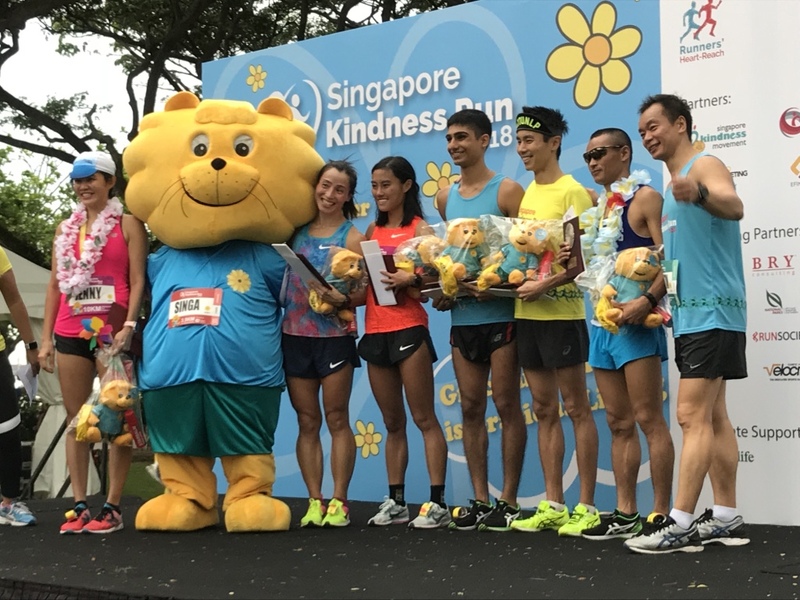 Singapore verkar riktigt bra och cool… Bodde för några år sedan på samma adress som en, som var ovanligt trevlig, från det stället!